Para activar, se necesita una dirección de EE. UU. válida para la función E911. Wi-Fi Calls always originate in the U.S., even when you're outside of the U.S.
Las llamadas a números de EE. UU. no se facturan (excepto al 411 y otras llamadas premium). Una restablecimiento parcial is needed on the desk phone when a new endpoint is added to the One Talk MDN. Attach the desk mount stand. The wireless headset adapter and headset are sold separately. Contact the IT administrator before selecting the power option. The Desk phone begins the initialization process. The process may take up to 15 minutes. 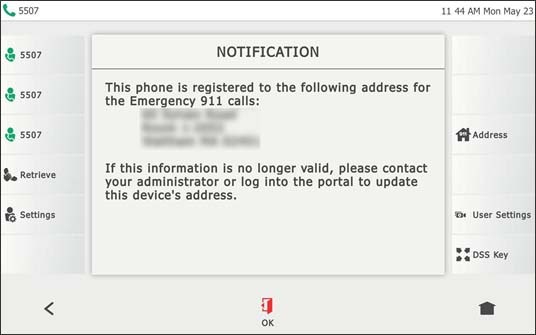 After a successful activation, the 911 notification screen is displayed. Press OK. The wireless headset adapter, headset and/or Bluetooth® USB dongle are sold separately. The WF40 Wi-Fi USB Dongle is sold separately. Click aquí for setup information. Contact your IT administrator before selecting the power option. If preferred, connect the USB flash drive. Contact your IT administrator before selecting the network connectivity option. Connect to a wired network. From the desk phone display, navigate: Settings > Basic > Wi-Fi. Select an available wireless network from the list of networks. If the network is secure, enter the password in the PIN field. After successful activation, the 911 notification screen is displayed. Press OK. 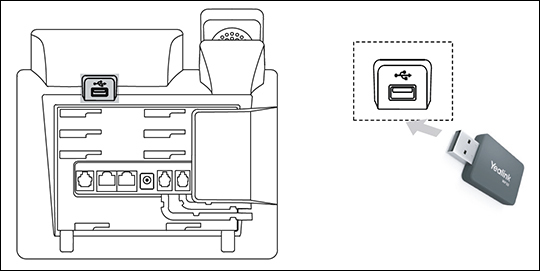 The USB port can be used to connect the BT40 Bluetooth USB adapter or WF50 Wi-Fi USB adapter. T41SW and T46SW models include the WF50 Wi-Fi adapter. It can be purchased separately for other models. Bluetooth adapter BT40 can be purchased separately. 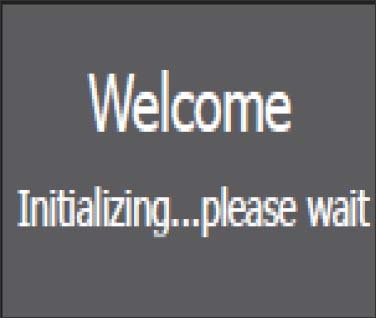 The phone displays "Initializing, please wait during this process." After a successful activation, the 911 notification screen displays. Press OK.
To view your 911 address, press the Address key to the right of the LCD screen. If preferred, connect a USB flash drive to record and play back. The USB flash drive is sold separately. Connect the optional expansion microphone(s). 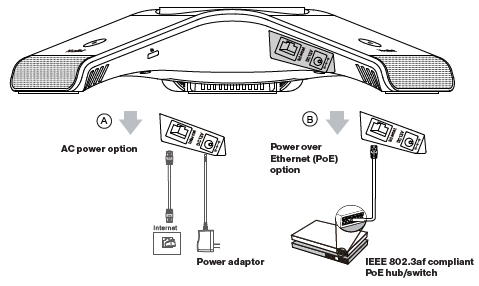 Optional CPE80 Conference Microphone extenders can be purchased separately for use in larger conference rooms. Up to two expansion microphones can be connected to the IP conference phone. 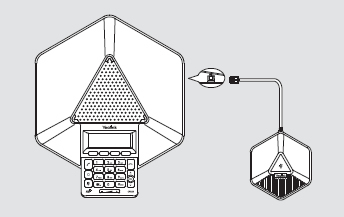 The W60 bundle includes a base station (W60) and (1) handset (W56HV). The W56HV handset that shipped as part of the bundle will automatically link to the base station. Insert the battery into the W56HV Handset. Use the supplied charging cradle power adapter (5V/600mA). With the battery charged, you can use the handset to monitor the progress of the base station initialization and registration process. Use the supplied charging cradle power adapter (5V/600mA). After your phone is powered on, the system boots up and performs automatic phone initialization. When your One Talk phone is connected to the network and powered on, it automatically starts the initialization process. The LCD screen displays “Initializing, please wait during this process.” The phone finishes the initialization by loading the saved configuration. 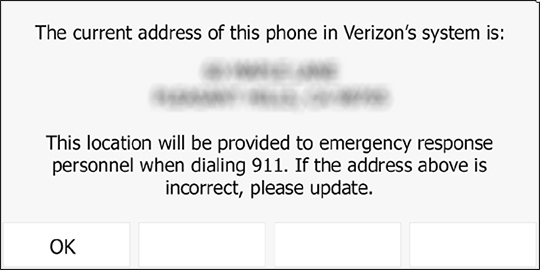 After starting up and confirming the 911 address, the phone is ready for use. On the W60 base, press and hold the Page/Sync Button (looks like a Wi-Fi icon) on the base station until the top LED blinks (The pattern is a fast three blinks, happens after approx. 4 seconds). On the W56 handset, press OK then navigate: Settings > Registration > Register Handset. Choose the desired base station and press OK.
After the handset finds the base station press OK. Enter the base station PIN (default: 0000) and press the Done soft key to finish registration. Follow steps 1-5 to register a handset to multiple base stations. Be sure to choose a base station that is not already being selected to avoid overwriting the existing selection. From the main screen, press the Navigational button (located in the middle) on the W56HV Handset then navigate: Settings > Registration > De-reg. Handset. Enter the base station PIN (default: 0000) and press the Done soft key. From the list of handsets displayed on the LCD screen, highlight the desired handset name and press OK. When the screen prompts "De-register Handset", press the Yes soft key to de-register the handset. Connect the power and wired network. You have two options for network and power connections. Your system administrator will advise you which one to use. You can also connect to a Wi-Fi network after startup. Refer to Step 3 for more information. Connect the optional USB flash drive (for use with the USB Call Recording feature). The IP phone should be used with Yealink original power adapter (12V/1A) only. 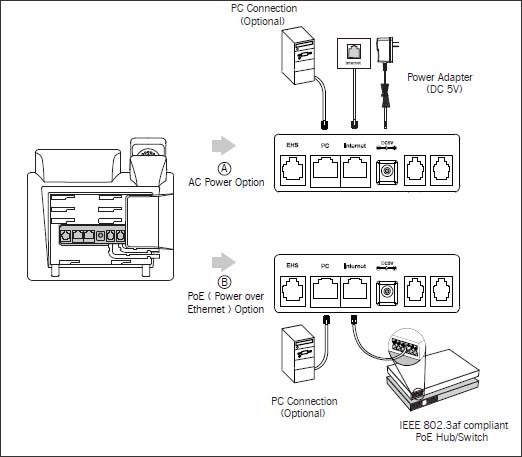 If inline power (PoE) is provided, you don't need to connect the power adapter. 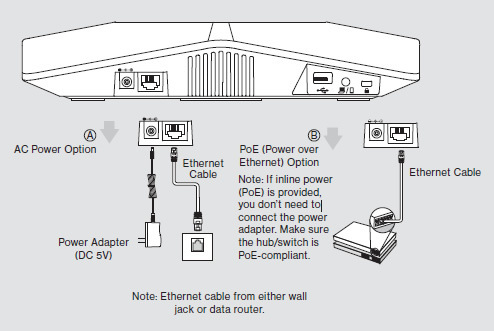 Make sure the hub/switch is PoE compliant. Press the Menu soft key and select Settings > Basic > Wi-Fi. Press the Switch soft key to turn Wi-Fi on. Press the Save soft key.The phone automatically searches for available Wi-Fi networks in your area. Select an available wireless network from the list of available network(s). Press the Connect soft key to connect to the wireless network. If the network is secure, enter its password in the Password field then tap the OK soft key. 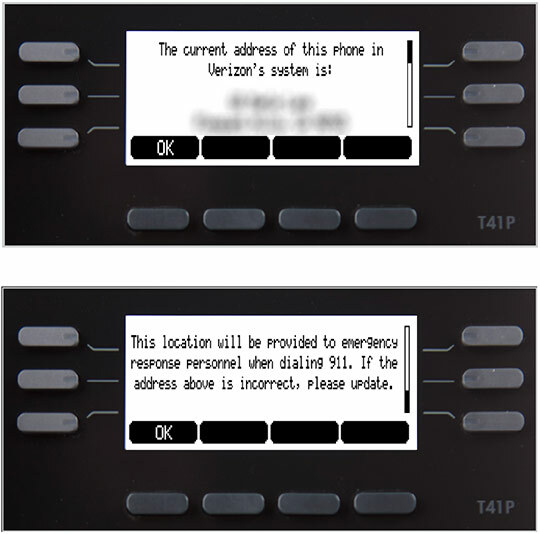 After the IP phone is connected to the network and supplied with power, it automatically begins the initialization process. From the 911 notification screen, press OK. The 911 screen displays after a successful activation.